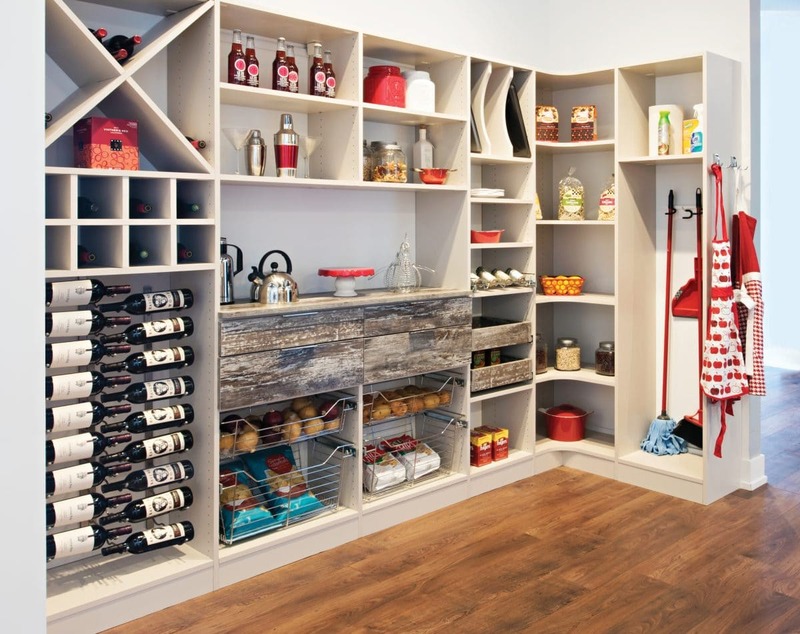 There are many benefits of an organized pantry. 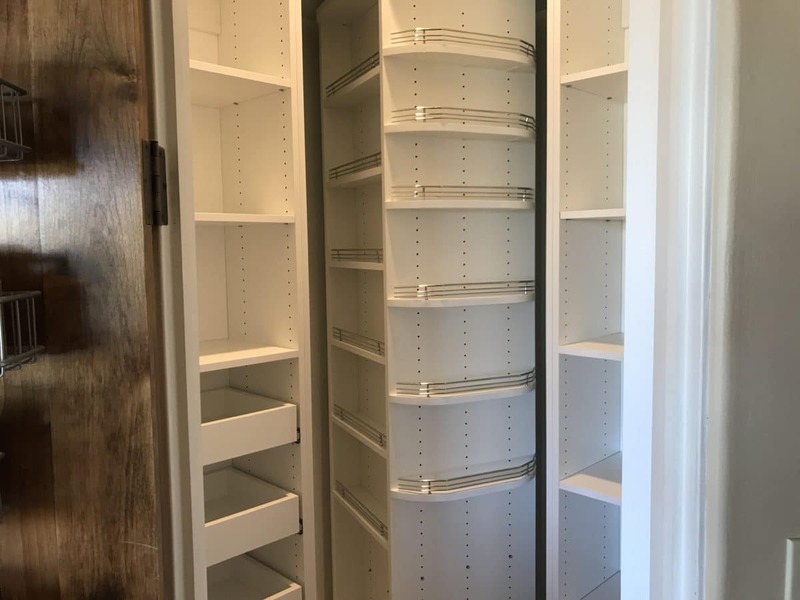 Properly designed pantry closets save time, money and calories! 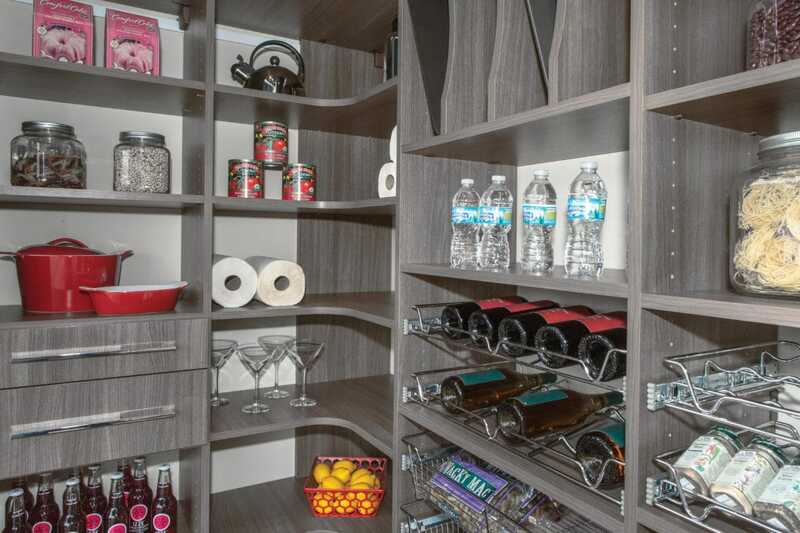 Properly store all your food and beverage items to help eliminate waste. 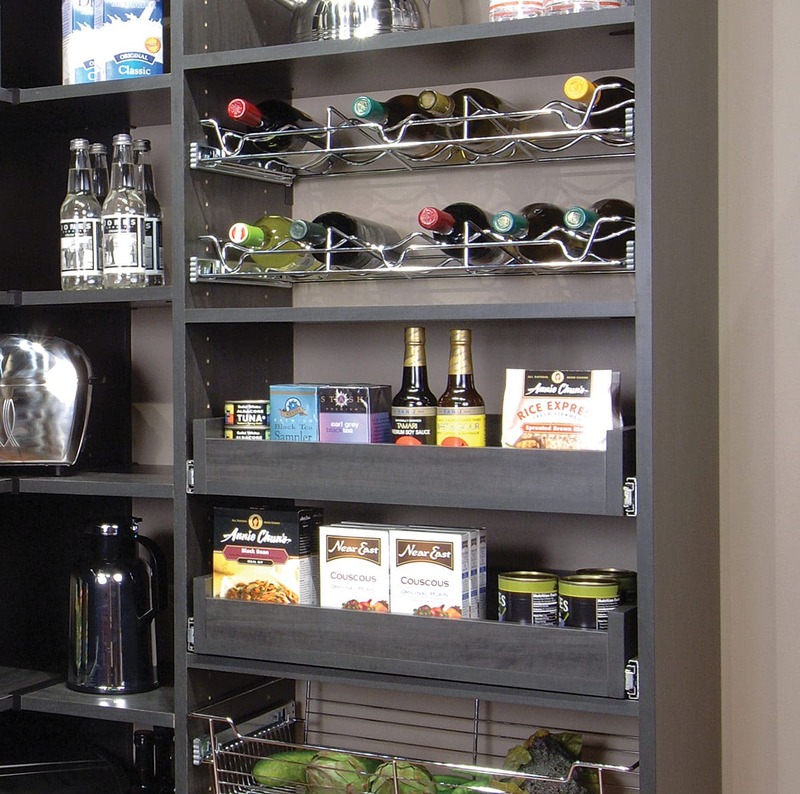 Make it easy to find all your items, know what you have and what you need at a glance. 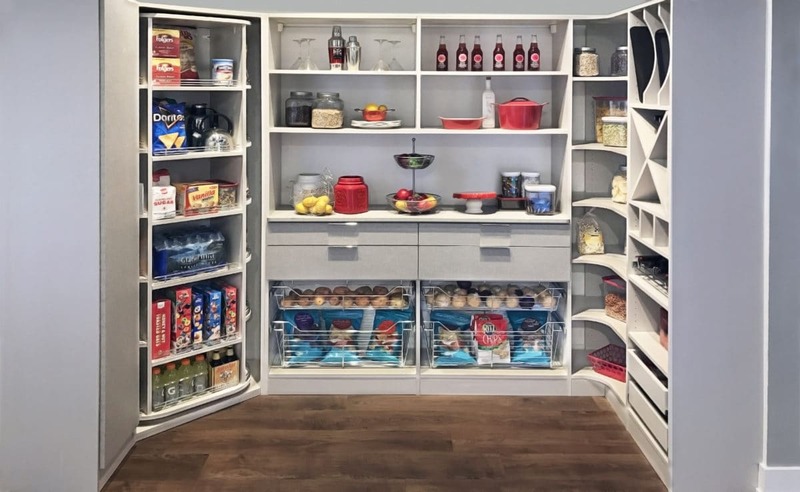 Hide your unhealthy foods and keep the healthy options front and center. 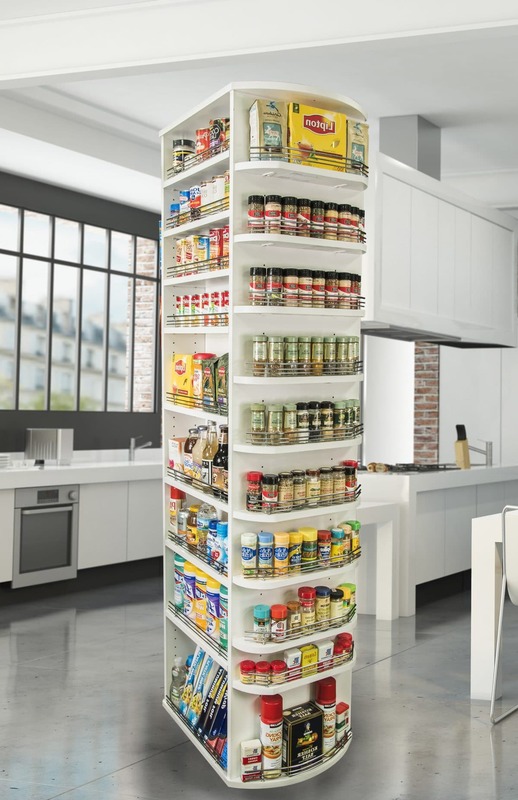 Be inspired to cook more and save calories! 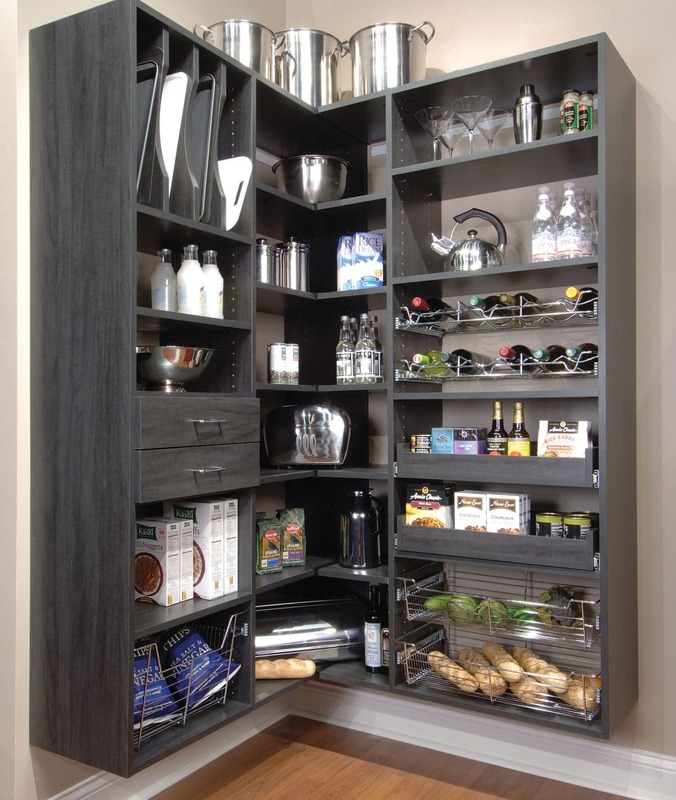 Free up space in your kitchen cabinets by adding custom pantry organization to your pantry closet. 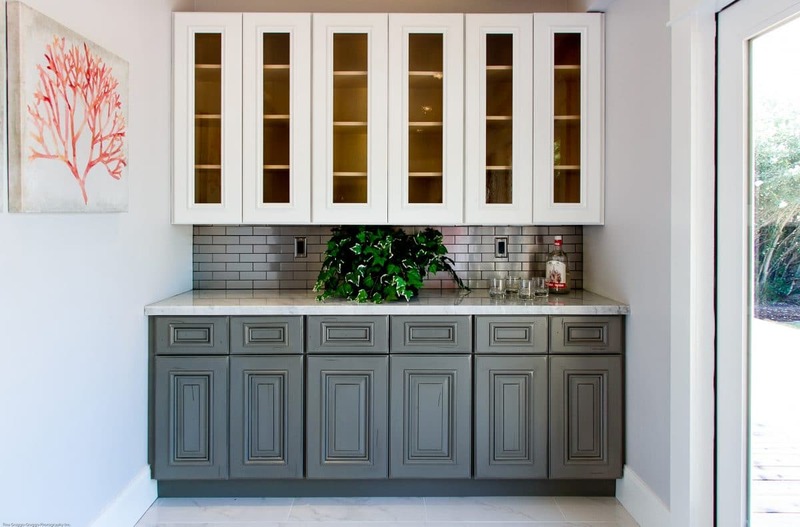 Are your counter-tops or base cabinets overrun with small appliances that you do not use? 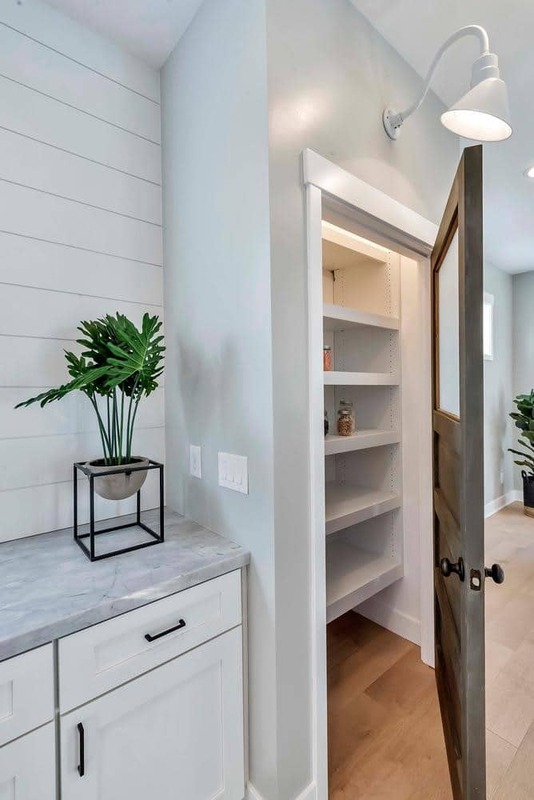 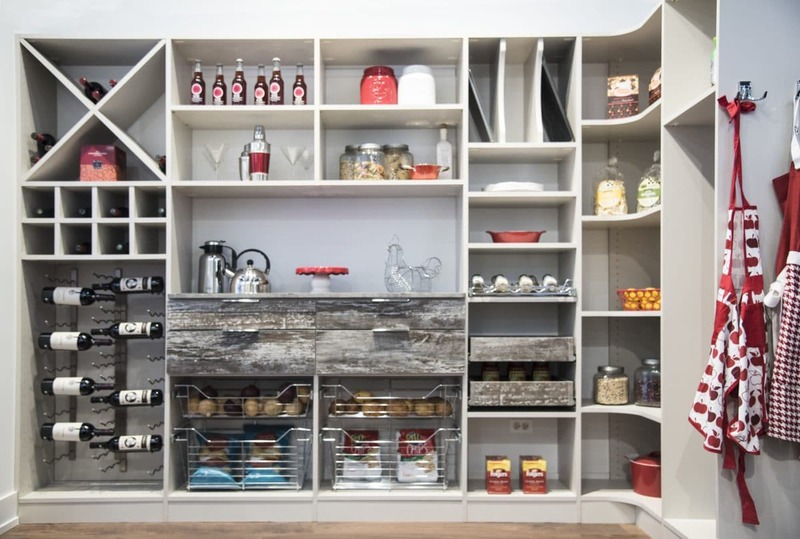 Maximize the usefulness of your pantry by adding custom pantry cabinets, adjustable pantry shelving and pantry accessories to keep everything organized. 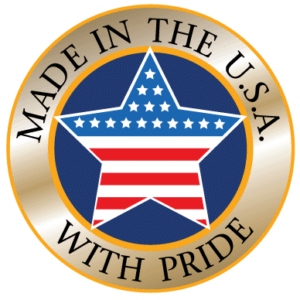 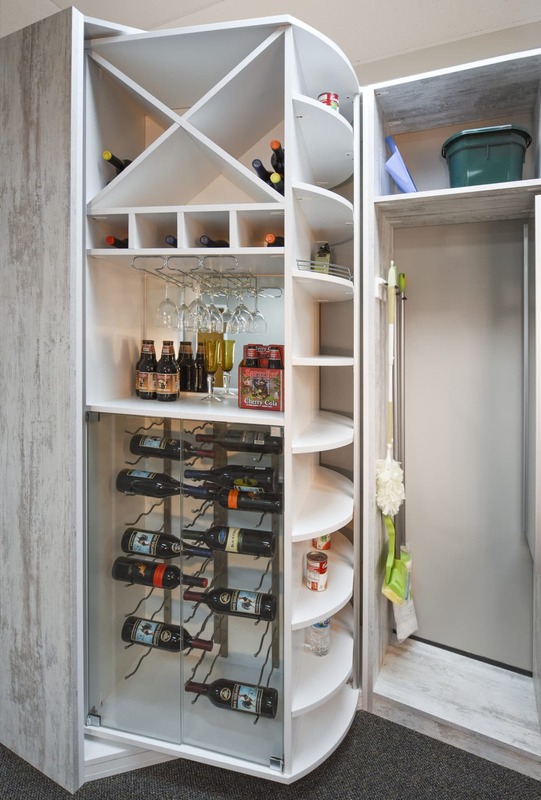 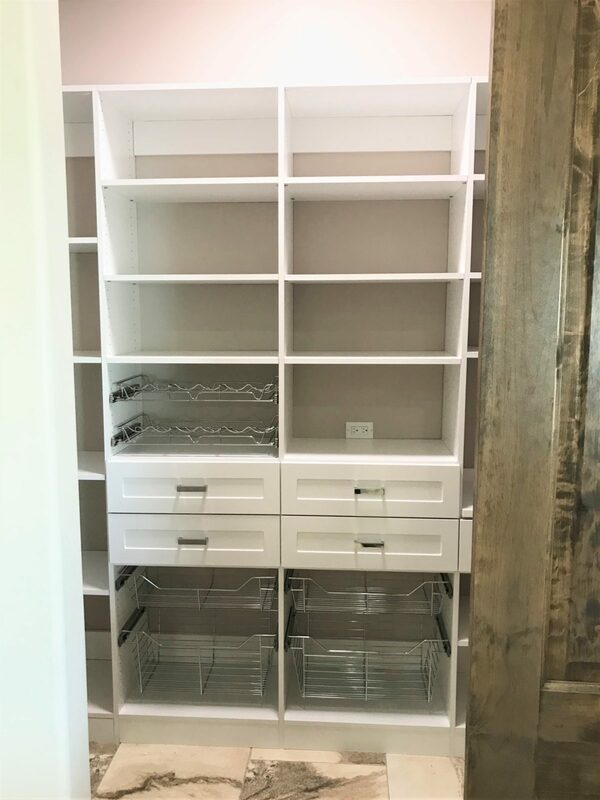 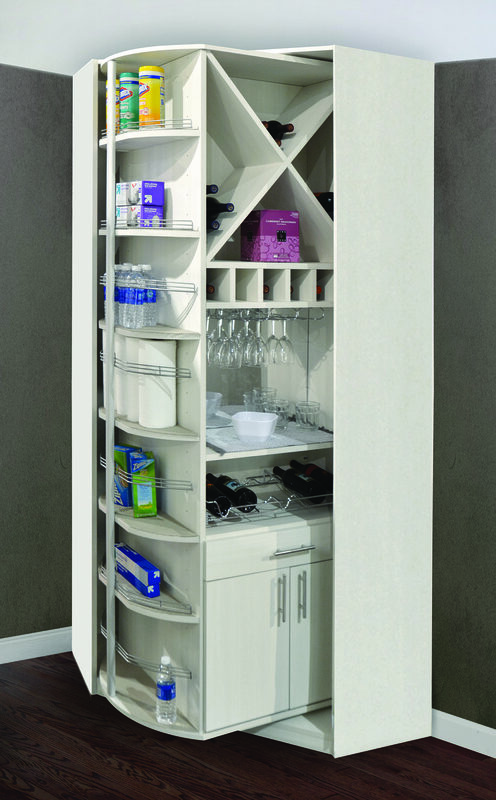 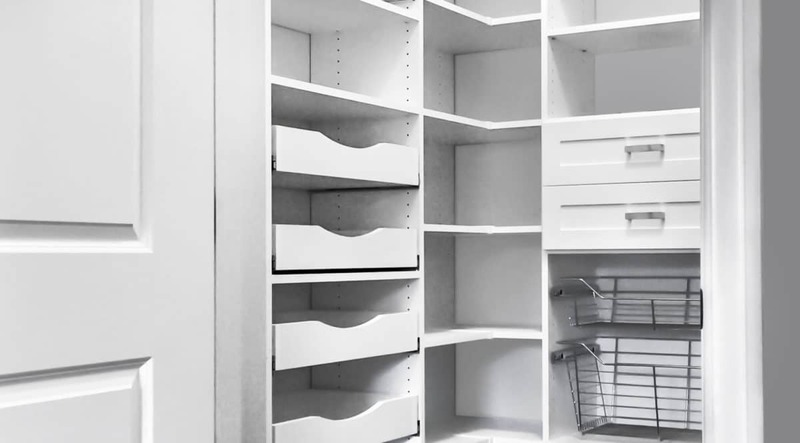 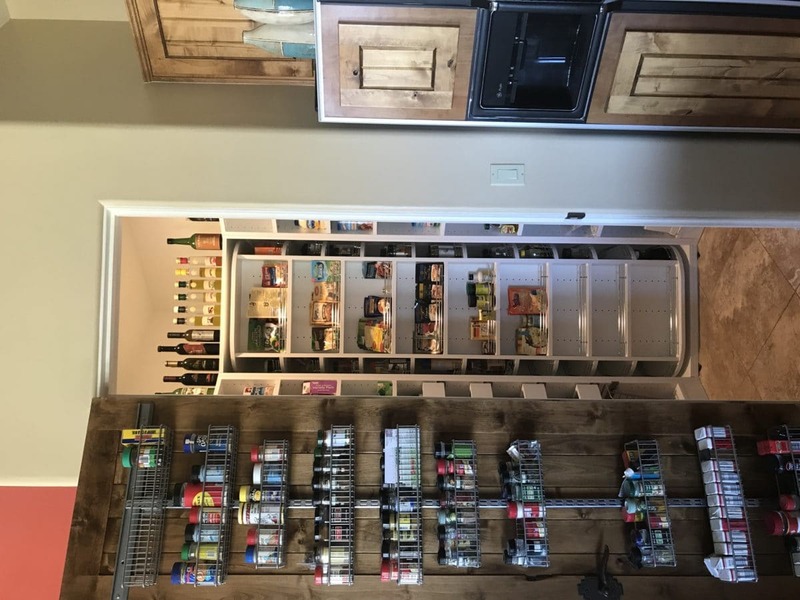 We offer many pantry organizing accessories such as pull-out pantry shelves, drawers, baskets, cubbies and pull-out wine racks. 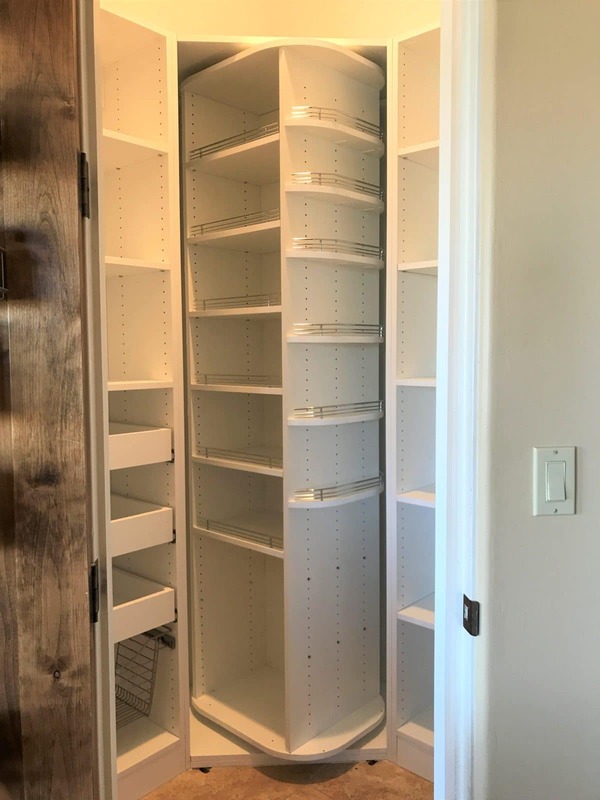 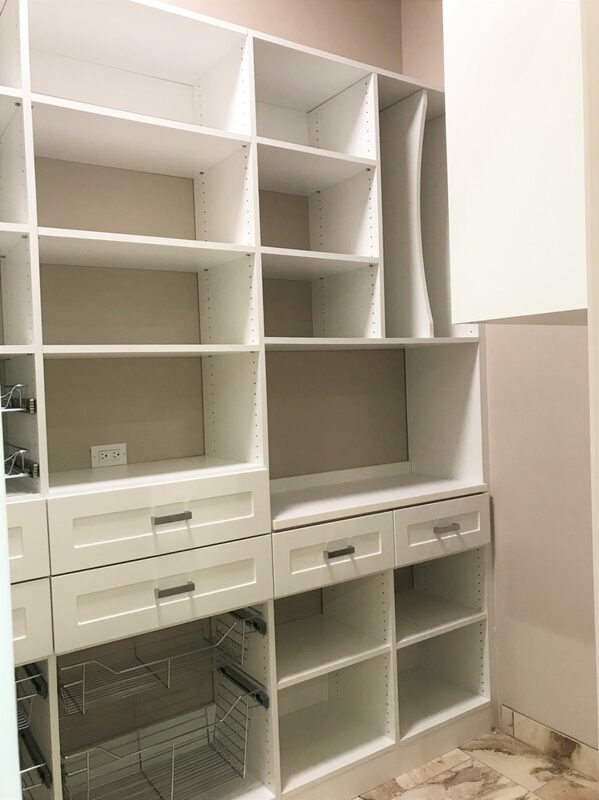 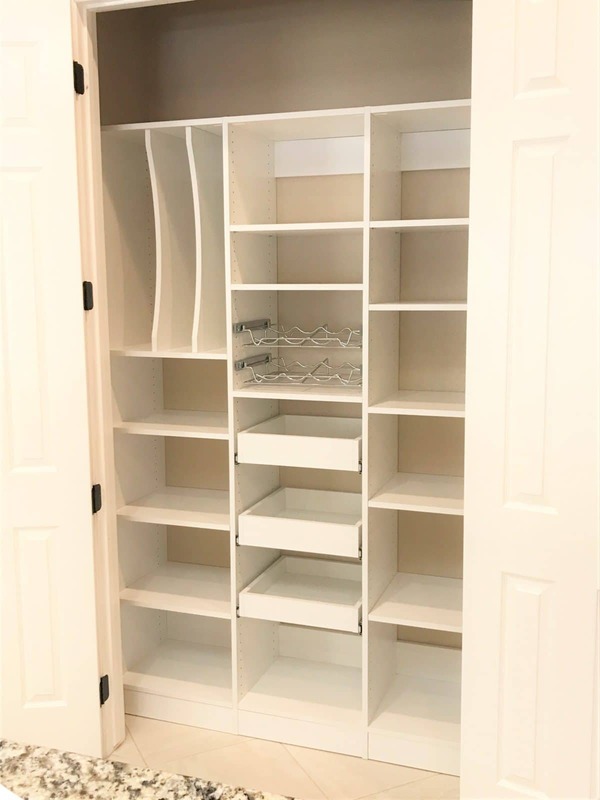 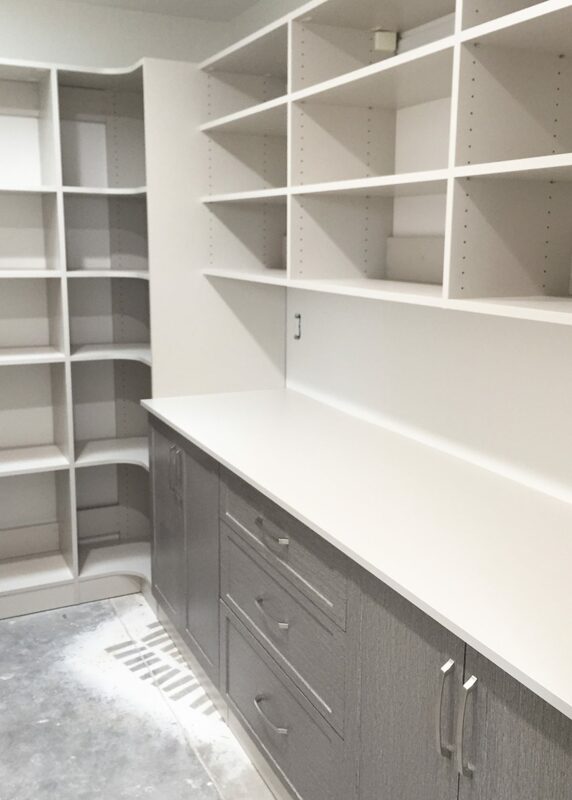 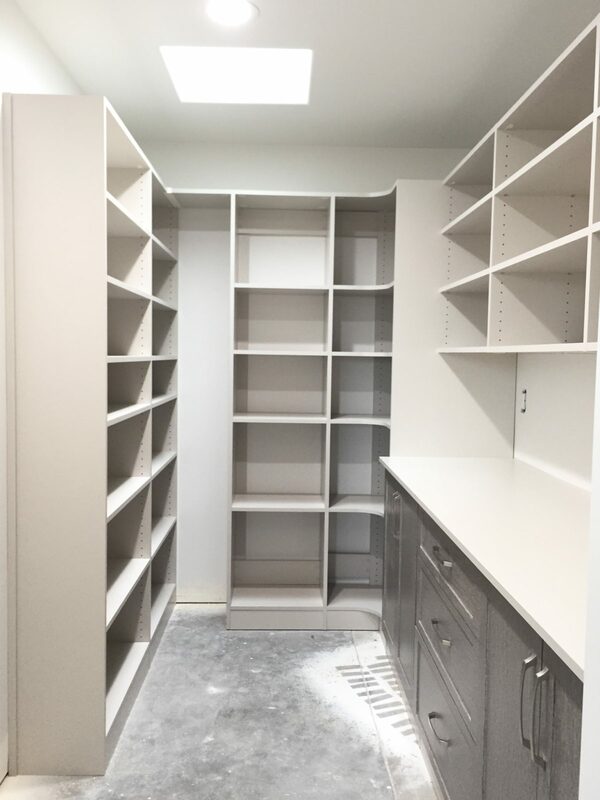 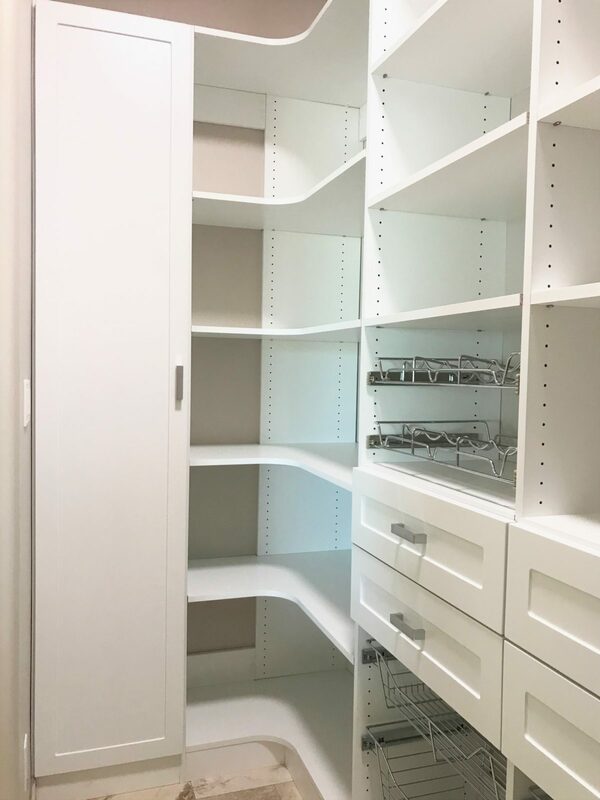 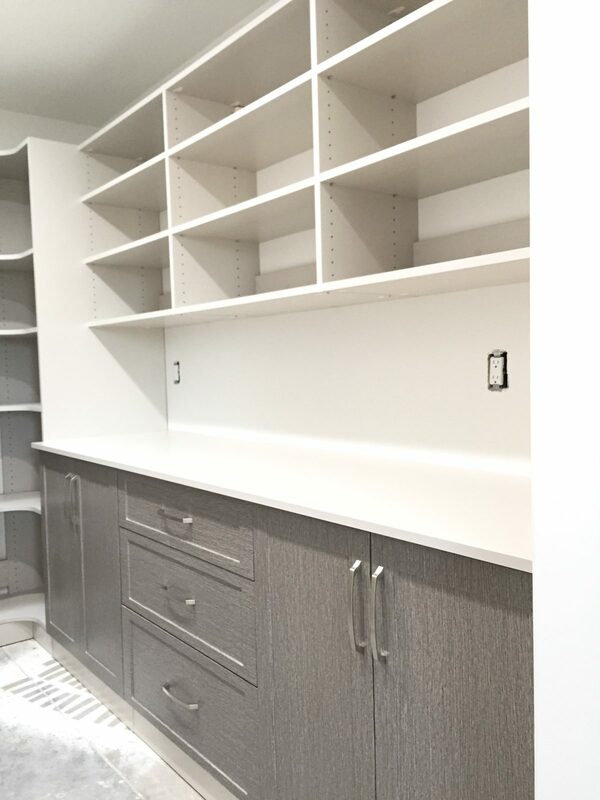 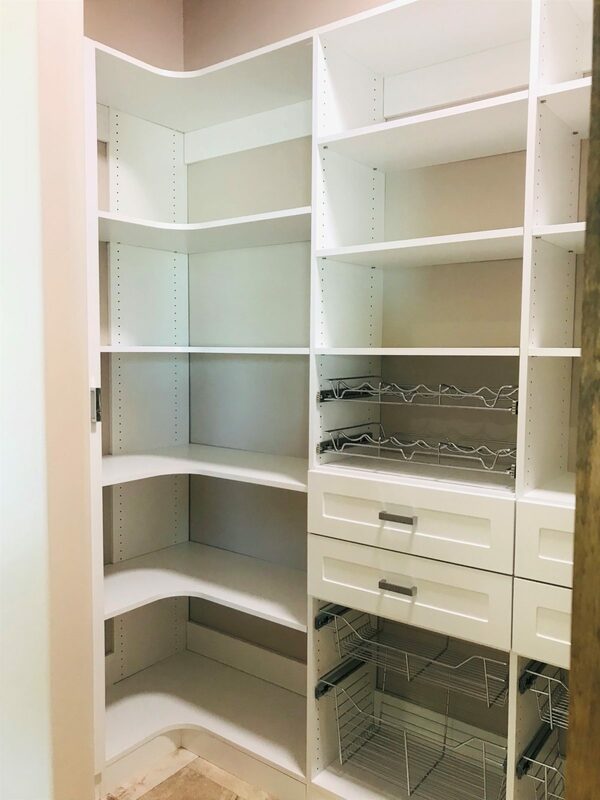 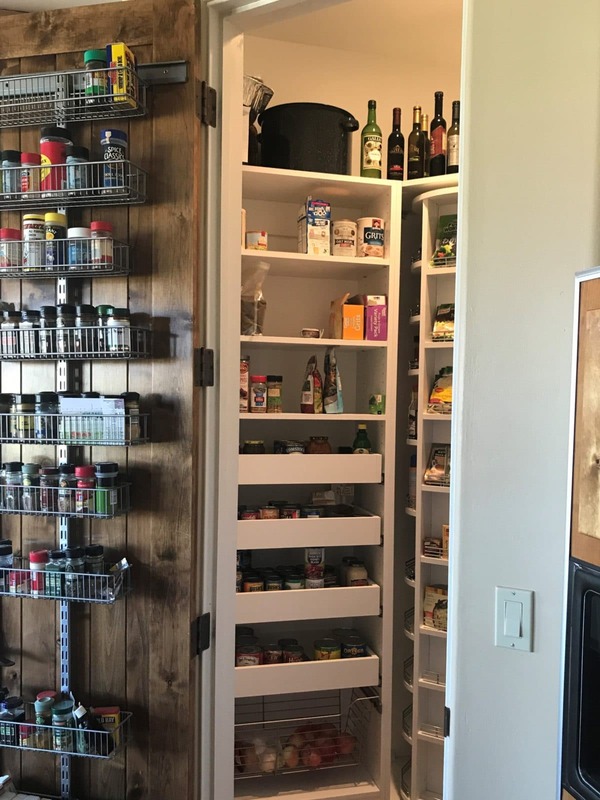 Our pantry organization systems are custom designed to fit your space–whether you have a large walk-in pantry or small pantry closet. 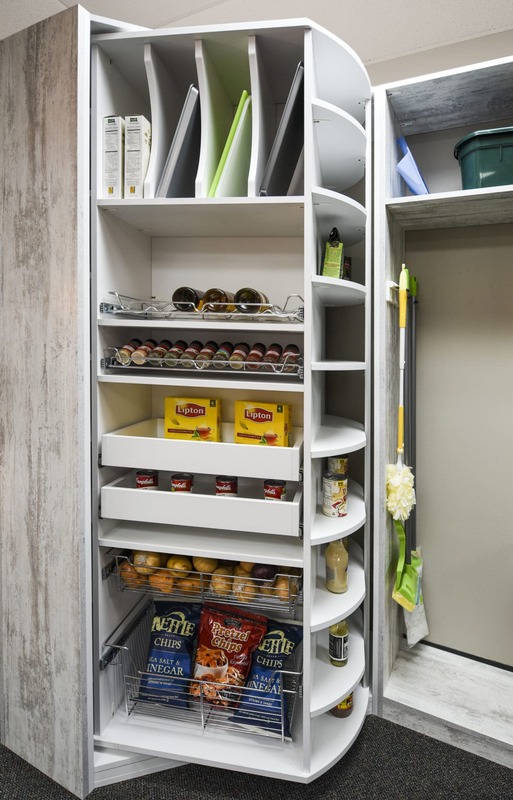 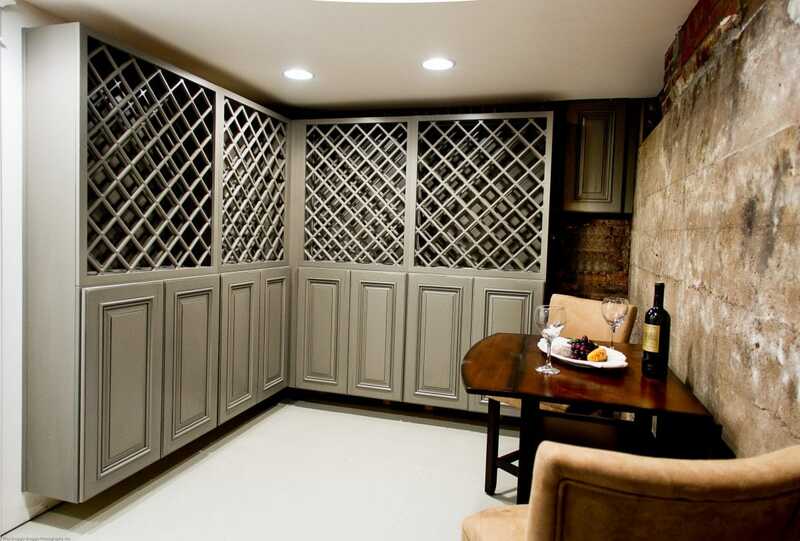 We can easily optimize the storage capabilities of your pantry. 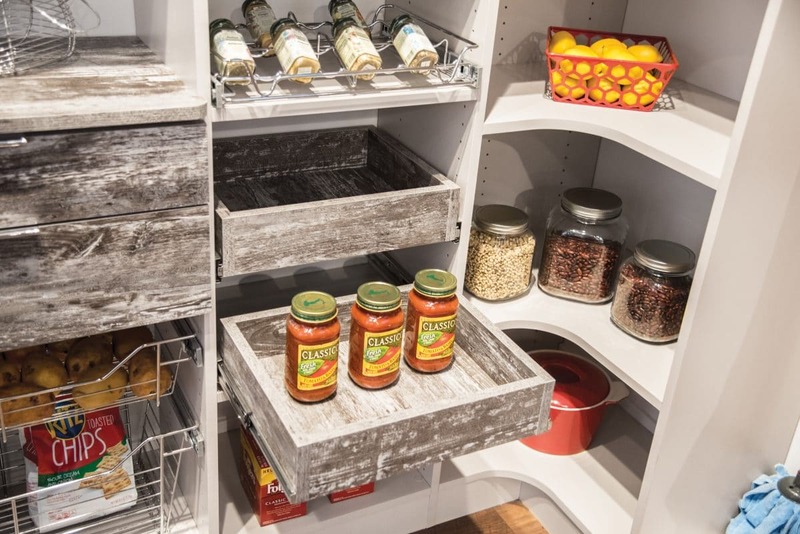 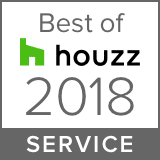 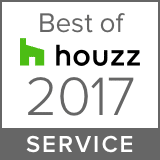 Helping you keep your kitchen functioning well and your pantry neat. 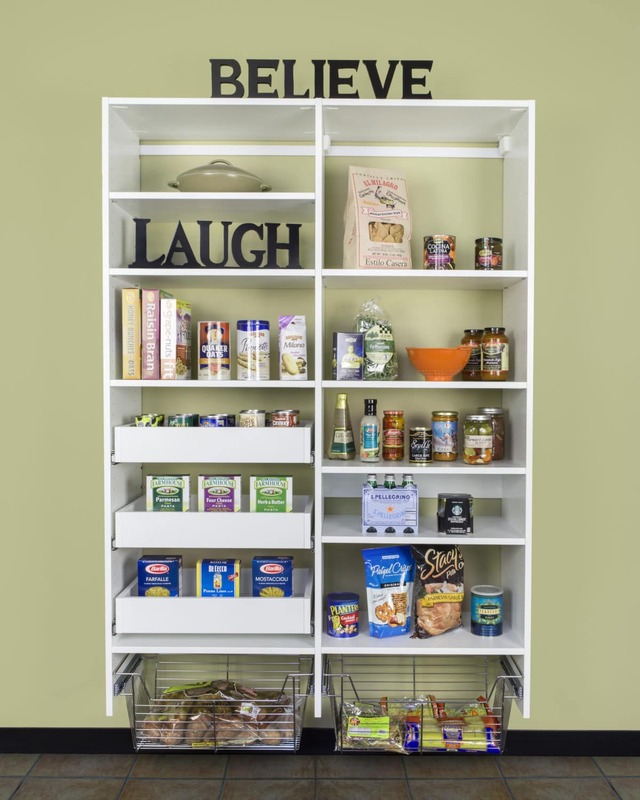 Check out our pantry organization gallery below or download our catalog for further inspiration.